Governor Terry McAuliffe announced today that Kelly Turkeys USA, LLC will locate new operations for its specialty poultry production and processing facility in Albemarle County. The company, which grows, processes, and sells high-end, heritage breed turkeys through direct and retail markets, will invest $1.4 million in a new facility. The investment will allow the company to create 33 new jobs in the area and to grow production to 10,000 turkeys annually, over three years. The Commonwealth is partnering with Albemarle County and Kelly Turkeys USA on this project through the Governor’s Agriculture and Forestry Industries Development (AFID) Fund. Founded in the United Kingdom in the 1970s, Kelly Turkeys U.K. is known for its unique breed of turkeys, the KellyBronze turkey. The company has grown steadily in sales and reputation for the past 25 years and has been voted the best turkey in the United Kingdom for eight consecutive years. Kelly Turkeys USA will bring the same brand and production methods to Virginia, establishing the company’s first United States facility. The new U.S. location for the long-standing and established Kelly Turkeys brand will produce 100% Virginia-grown premium turkeys. Through this announcement, Kelly Turkeys USA will help to grow the already diverse agricultural economy of Albemarle County. The company’s new facility will utilize working farmlands in Albemarle County to support the Commonwealth’s largest private sector industry, agriculture. This artisanal product will supply the growing market for premium turkeys in the Commonwealth and around the country. 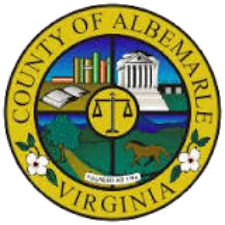 The Virginia Department of Agriculture and Consumer Services partnered with Albemarle County to secure this project for Virginia. Governor McAuliffe approved a $29,000 grant from the AFID Fund to assist with the project and Albemarle County will provide a $29,000 cash match. About the Agriculture and Forestry Industries Development Fund: The AFID Fund was created during the 2012 session of the General Assembly and is being embraced by the McAuliffe Administration as an important tool in growing the Commonwealth’s agriculture and forestry sector and helping to make Virginia the leading exporter of agricultural and forest products on the East Coast. More information about the AFID grant, which has the flexibility to assist projects large and small throughout Virginia, can be found at http://www.vdacs.virginia.gov/agribusiness/afid.shtml.